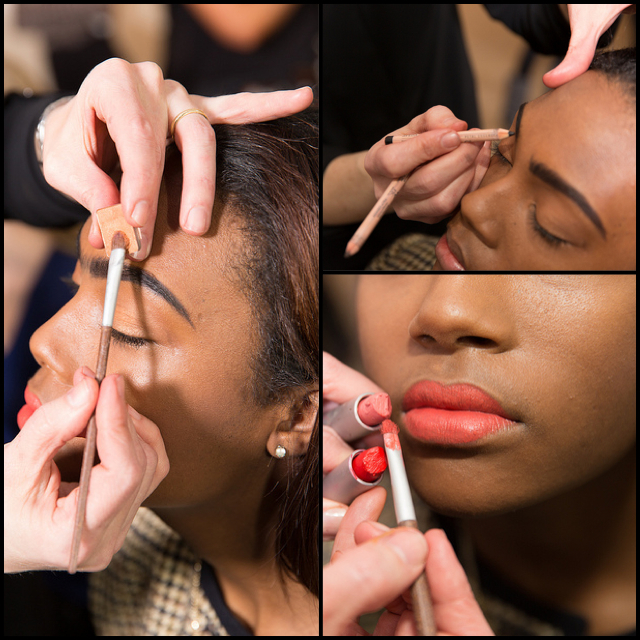 Yesterday , the beauty look at William Okpo Fall/Winter 2013 Presentation was Frida Kahlo inspired with Bold "not so perfect" brows , with a soft red lip. 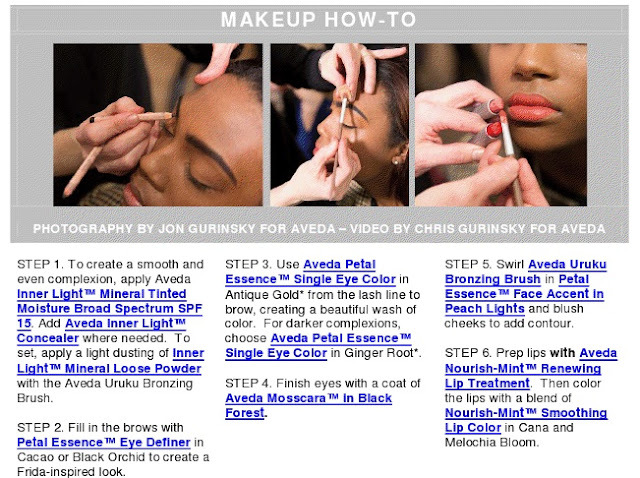 Janell Geason, Aveda Makeup Global Artistic Director describes the look ( in her own words ) " think bohemian and nomadic. She is the girl who is not afraid to be her natural self," "The brow is super strong, yet imperfect. It's forward-thinking and a bit 'out there.' This is distinctive, refined beauty, not at all about being too polished or pristine." I am a big fan of bold brows , so this was one of my favorite beauty looks of the season. I love how the red lip is toned down and not as bold , so the brows are really the focal point on the face.